Salesforce Platform provides an integrated architecture that lets you focus on building solutions rather than infrastructure. Assemble applications with clicks or code and then instantly launch them across any device to connect with your customers, employees or partners. Get a free Salesforce Platform development environment! 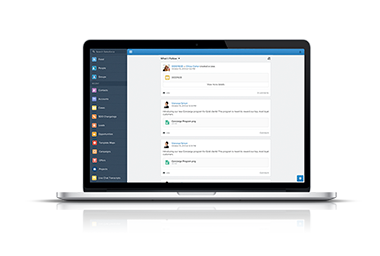 The Developer Edition is a free, full-featured copy of Salesforce Platform. Use it to develop, extend and integrate new apps and to explore the platform. Follow a guided learning path with free, self-paced tutorials. Learn Lightning Platform basics with Trailhead, a fun and fast way to challenge yourself. Celebrate your progress with points and badges! Advance your skills with these great Salesforce Platform development resources. Build an app from scratch with these easy to follow tutorials. Documentation, code samples, tools and other technical resources. Live intro series on Lightning Platform, Apex and Visualforce. Want to build apps on the #1 cloud platform?